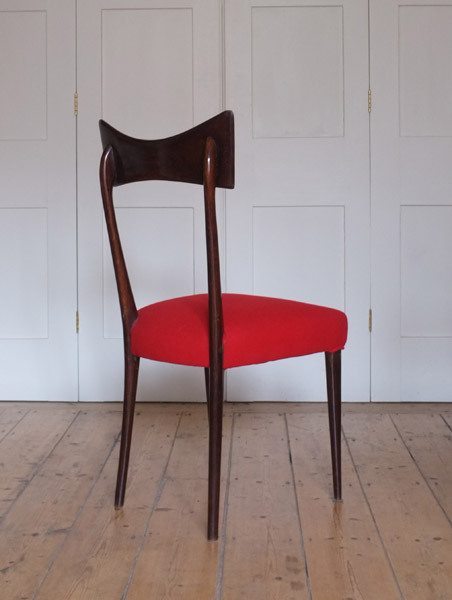 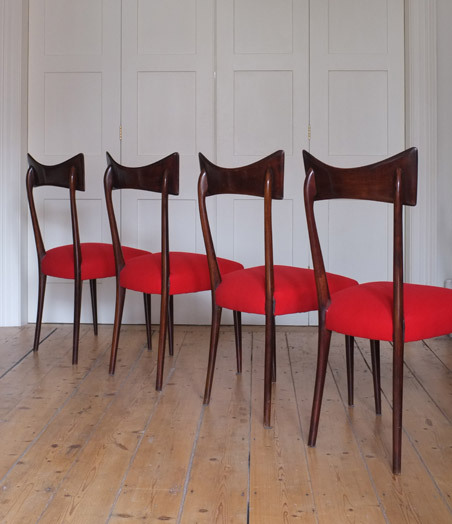 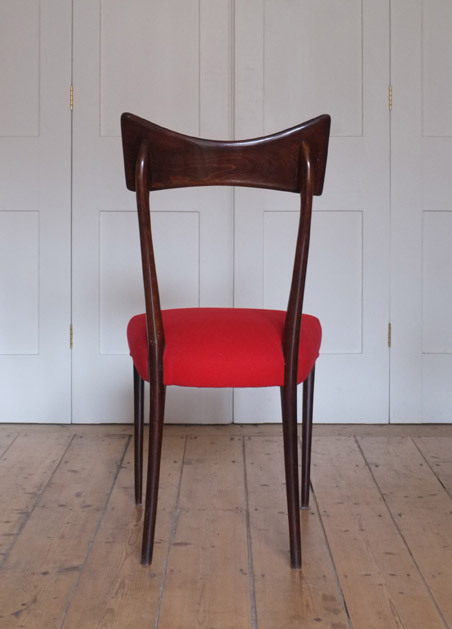 A set of 8 dining chairs attributed to Ico Parisi, 1950s Italy. 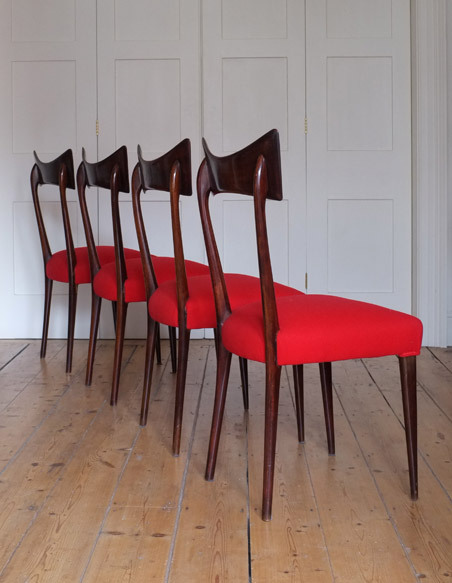 A very sculptural set of chairs with wide, curved backrests and elegant frame. 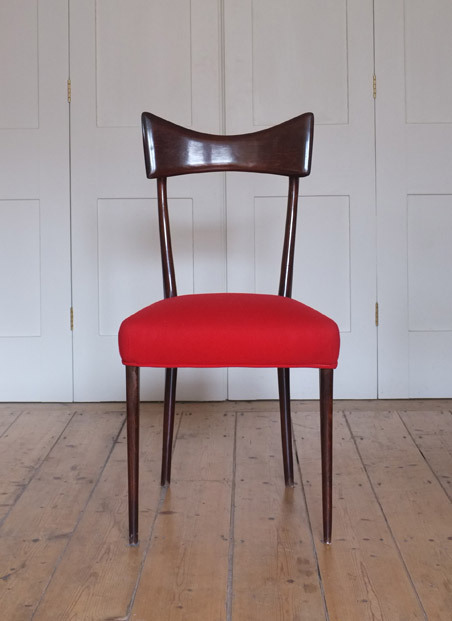 The red upholstery is in excellent condition with a only a few minor marks. 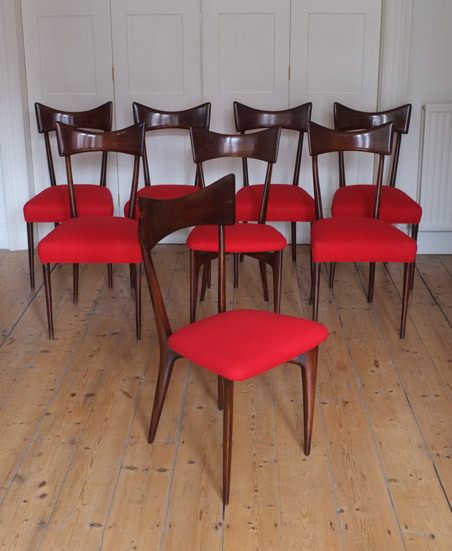 Two chairs have floating seats, whilst the rest have sprung seats. 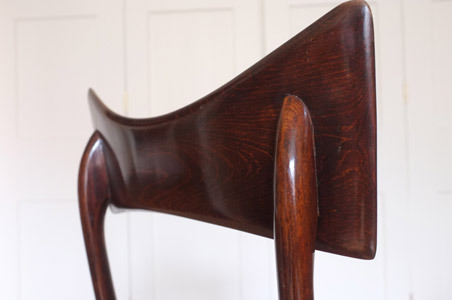 The chairs are all sturdy with no weakness and only some minor marks.